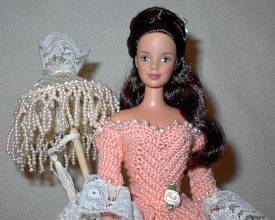 This gown is done in a peach color thread with off-white accents. 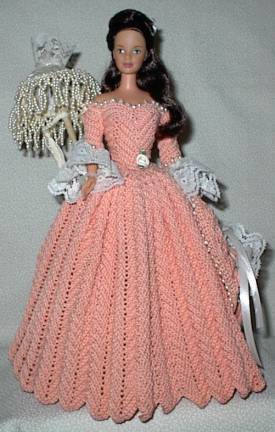 Comes with bodice & skirt, parasol and hat. 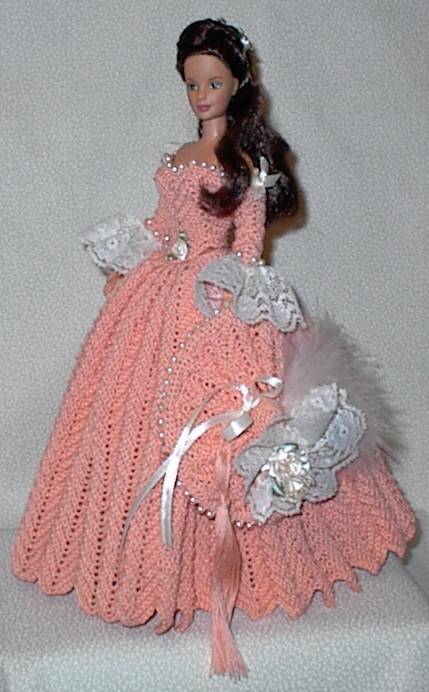 A very pretty doll!